Just by looking at onions, you can tell who their family members are. Onions are related to garlic, chives, leeks and shallots. These plants can be planted one of three ways in the garden: through sets, direct seeding and transplanting. Sets are onions that were planted from seed the previous year. Many garden centers grow onions from seed and then sell the sets. Sets will tolerate a light frost, and you can plant them outside when temperatures warm up to 48 degrees. Plant sets in Tennessee as early as possible for the largest onion development. Test your soil in fall to prepare for spring planting. With a soil auger, dig up to 1 quart of soil from six to 10 locations across your garden. Mix the soil and allow it to dry before scooping 1 cup into a soil testing box that you can obtain from your University of Tennessee county extension service. An agent with the service will help you to send your soil sample to the University of Tennessee Soil, Plant and Pest Center for analysis. A soil test will determine your soil’s structure as well as pH, soil diseases and which nutrients will improve your soil. Break up your soil to a depth of 12 inches with a spade and rake. Spread soil amendments, based on the test in step 1, in a layer 4 inches deep over your soil. Good soil amendments for Tennessee soil include peat moss, compost, composted manure and lime to raise the pH of the soil. Mix the amendments with the soil using a rake. Ask an agent with your extension service which USDA hardiness zone your area falls within. Tennessee falls in USDA hardiness zones 7 and 6. Your USDA hardiness zone will determine how soon you can plant onion sets. In Tennessee, you should plant onions in March. Open a planting furrow with a rake. Place each onion set so that the pointed end is up and the flat end is down. Onion sets should be spaced 3 inches apart and a half inch deep. Onions should be thinned as they grow. 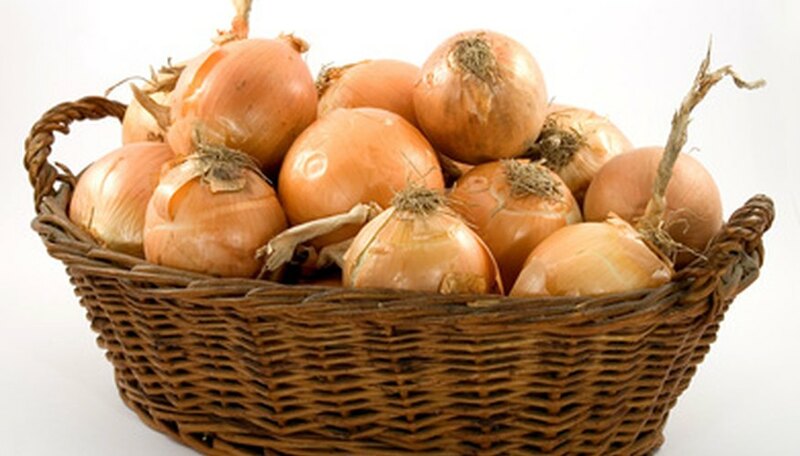 Cover onions with soil and water so that the soil is as damp as a wrung-out sponge. Onions are shallow rooted plants and must be watered continually until they reach the desired size.